Mussie Kidane of Pictet Wealth Management says the evolving nature of selection means there must be scope to consider funds of different size and age. 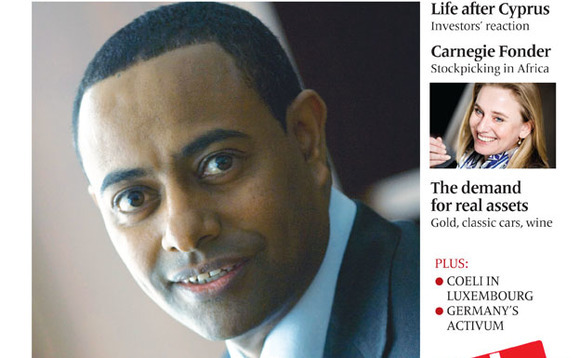 For Mussie Kidane (pictured), head of fund selection, wealth management at private bank Pictet & Cie, fund selection is an evolving process, rather than a fixed solution. “We amend marginally what we do from one year to another, but it basically remains the same process,” he explains. Pictet & Cie, founded in Geneva in 1805, pioneered institutional asset management in the 1960s, and now has with some €373bn assets under management and custody. The bank is clear about its core business, focusing solely on managing the wealth of private and institutional investors. It does not engage in any form of investment banking, nor issue any commercial, mortgage or unsecured loans. Presiding over a unit that supervises some CHF7bn invested in third party funds, Kidane, who grew up in Lausanne and studied at the University of Geneva, is passionate about the process and the business. “We are distinguished by how we approach fund selection. Firstly, and most importantly, we are not in the business of trading funds, so the less turnover in our list, the better, he says. The selected funds are mainly used in discretionary portfolios, following the asset allocation decisions of the Investment Committee and according to clients’ risk profiles. To insure the right fit, Kidane’s six-people strong team spends a lot of time trying to understand the underlying strategies and getting as much detail about them as possible. “When we finally reach the conviction level to hire a manager, we tend to hold the fund, as long as it continues to deliver on the expectation that we set,” he says. At the moment, Kidane is recommending just 55 funds, picked from the tens of thousands available globally, originating from over 40 asset management firms. “That means that we have significant exposure to a few funds, so we’d better be sure and confident in those picks,” he says. Is he interested in the idea of selecting managers at an early stage in the business? Many experienced managers leave big asset management firms to set up on their own, and they are highly motivated to succeed. But as outperformance attracts strong inflows, they spend more time and energy managing the business, rather than focusing on managing a portfolio, so the performance may suffer.